Why Choose AQua Wave Swim School? At AQua Wave Swim School, your child will get more than just swim lessons; they will get life lessons. Our professional, loving, and devoted instructors take the time to bond with each individual student so they can understand your child’s specific needs and modify instruction to meet them. Our effective teaching methods allow our skilled teachers to gently encourage and guide your child out of their comfort zone and into the learning zone. Water safety comes from comfort in the water as well as confidence in one’s swimming abilities. We believe that confidence in swimming leads to confidence in life, and that’s a skill for all ages. Our Lake Forest facility is enclosed and the salt water pool is a warm 93 degrees for year-round swimming comfort. It is a 5 lane, 18 yard pool with built in warm up area and infant class area. We are open Monday through Sunday with day and evening hours available. Classes at this location include Semi-Private, Parent & Me, Stroke Clinics, Swim Team, and Adult lessons. Our semi-private program is designed for students ages 18 months through adolescence. 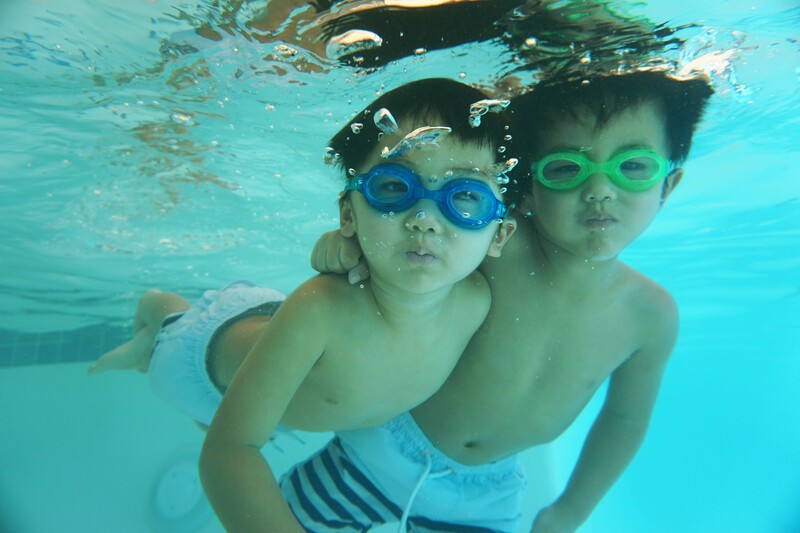 Children will learn to swim with an instructor and a partner of similar age and ability. AQua Wave instructors are extensively trained to teach all levels of swimming from beginners to stroke technique. These lessons are taught in a group environment for children 6 months to 3 years. Our instructors will teach you and your child our WaveSmart ® techniques to develop a lifelong swimming foundation. 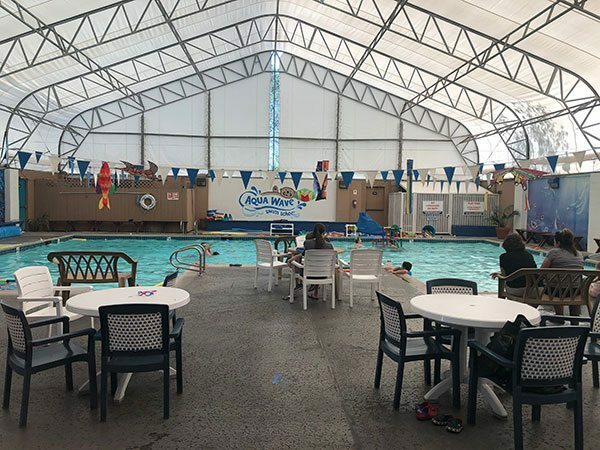 Each lesson will be filled with fun, songs and activities, and individual attention so your child learns, with our professional expertise, to swim at his or her own pace. The AQua Wave Team Workout is a structured yet fun 45 minute workout that is offered four evenings a week. This class is a great opportunity for entry level competitive swimmers to work on endurance, or experienced swimmers to learn advanced stroke and swimming techniques.